VOLUME I ~ EXPANDING HORIZONS OF MIND! Don’t miss your special opportunity to read Volume I of this profoundly elevating series ~ Featuring a collection of the timeless inspirational Talks & Teachings of Reverend Dr. Linda De Coff for Free ~ 5 Days Only on Amazon: June 18 – June 22nd (11:59 PM) To go to Amazon, Simply click right here. For a listing of Titles included in Volume I , Free Preview and 5 Star Reviews, scroll down and see below. The very first step to permanent change for the better in all conditions and in manifesting ultra new good in our lives is “Raising Consciousness” to the level of the Divine within, far transcendent of any experience of the past. Discover the Great Unlimited Capacities of your Divine and Sacred Self ~ the very core and essence, the vital power of your being. In this series of Higher Consciousness talks, Dr. Linda offers ways to accomplish your most cherished goals, and how to align with the Highest and Best in you. Throughout Volume I ~ Each offering includes an extensive talk on the Higher Consciousness Theme being considered, along with accompanying closing meditations, for incorporating deep within…providing easy reference for your daily centering, while working on a particular theme. *For those who do take advantage of our offer and download this wonderful book, Thank-you In Advance for taking a moment to place your personal comments and/or reviews on Amazon after reading. This will help so immeasurably to let others who may be interested know what they can expect to experience, and we do appreciate your thoughtfulness greatly. I have been looking forward to the publishing of Rev. 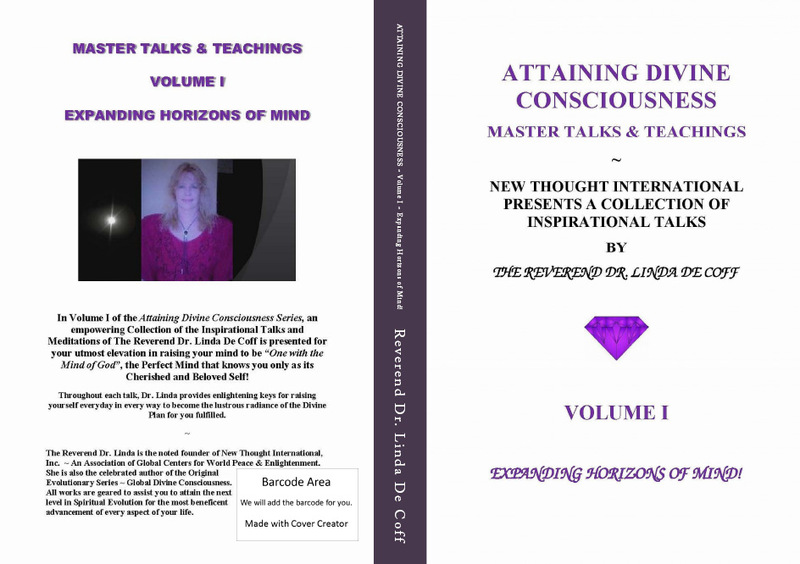 Dr. Linda De Coff’s new 4-set Volumes on raising consciousness. Her first volume, “Expanding Horizons of Mind,” does not disappoint! “We are limitless,” says the master teacher, and then proceeds to take us on a magnificent journey into the depths of Inner Space. 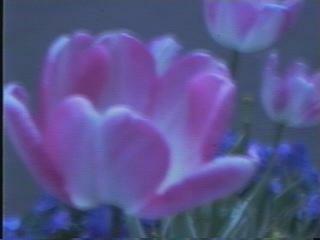 Dr. Linda teaches us very viable and practical methods of entering and uncovering our Divine Selves — and gently introduces us to the basics of Divine Principle, outlining a program par excellence for attaining our personal and professional goals and ridding ourselves of unwanted negativity through the study of the Divine Substance of Life. Treading the labyrinth of expectancy, preparation, thanksgiving, forgiveness, presence, and much more, her Talks sustain our psyche, as well as employ immeasurable scenarios to enlighten our bogged-down brains~. The lovely Dr. Linda seems to materialize herself out of the page, speaking directly to us, guiding us, asking questions, gently prodding. Each Talk is then followed by an apropos meditation feeding the hungry heart. I treasure this book and have it on Kindle where I can refer to it at any time. This Volume is a prize contribution to Dr. De Coff’s Collection! *VOLUME II ~ THE DIVINE MANIFESTING LAWS! *Tune in to hear Dr. Linda on the THE RICHARD DUGAN SHOW: Noted Host of “Tell Me Your Story” interviews Dr. Linda on the Evolution of Consciousness & Attaining Higher Levels of Being! : (1 Hr. & 25 Minutes). KZSB ~ AM 1290 Santa Barbara News-Press Radio, Santa Barbara, Ca. ALL RICHEST BLESSINGS, As You Journey Into Highest Consciousness, Embracing The Limitless In You!